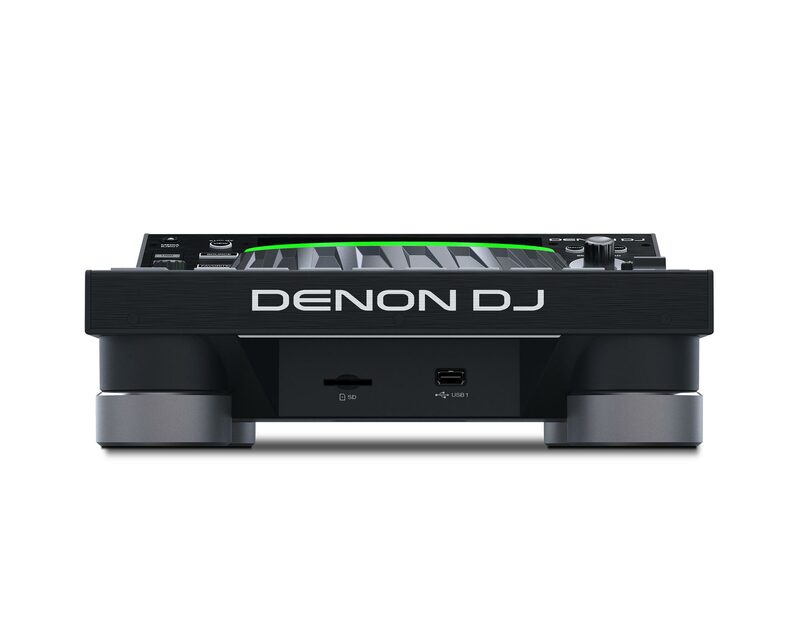 The DENON DJ SC5000 Prime is a DJ media player with a high definition, multi-touch display that enables gestures and swiping for the ultimate DJ expression and immediacy of interaction. 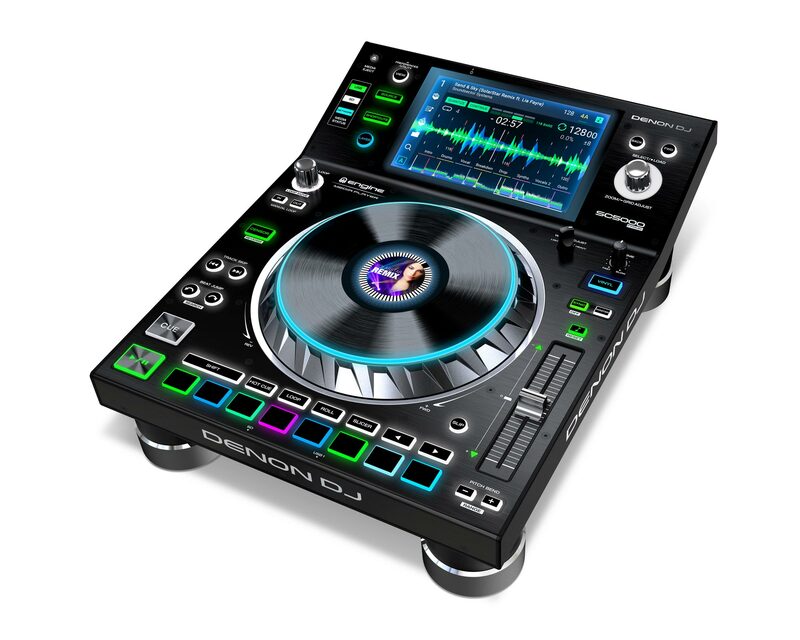 The SC5000 Prime analyzes music files on the fly, it has dual-layer decks with dedicated outputs, a multi-touch screen with easy and fast navigation, and an 8” rugged jog-wheel with central display that shows current playing track or custom artwork. 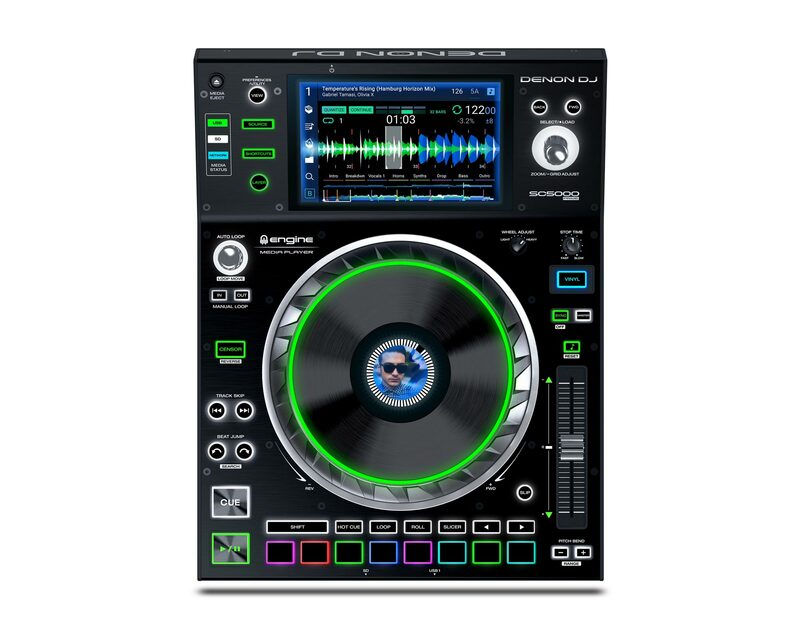 This is the first media player to fully analyze both beatgrid and musical key onboard the unit, delivering an unprecedented level of immediately-actionable information to the DJ. Plus, the SC5000 is the first media player in the world to use the all-new EngineTM Prime software. Engine Prime is an innovative music librarian and analysis system that lets the DJ organize, categorize and import music, either directly from iTunes® and Serato® DJ or via drag ‘n drop from existing music folders. 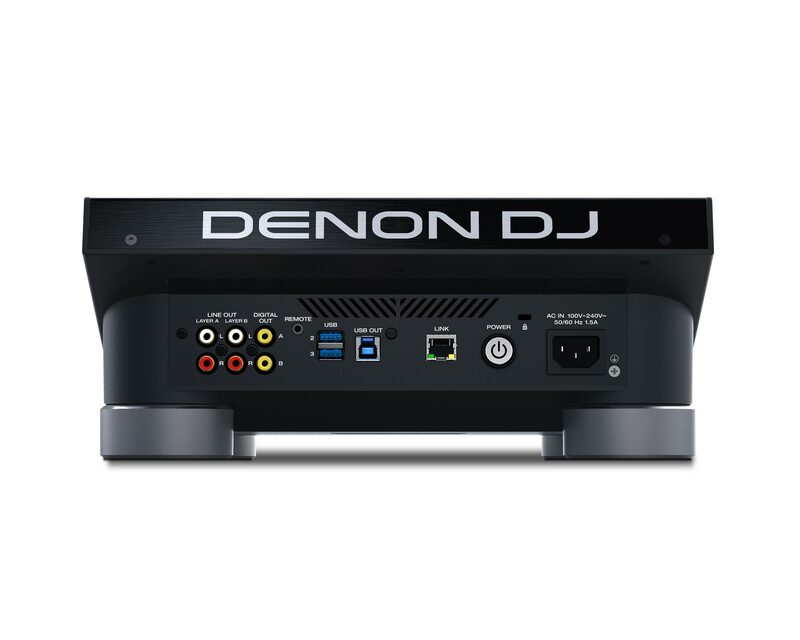 Using the SC5000’s on-screen alpha-numeric search facility, DJs can quickly find, load and play what they want on the fly, without distraction or hesitation. 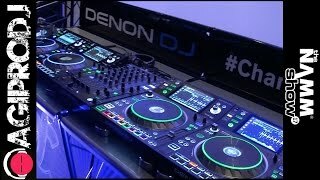 A LAN output makes it simple to link up to four players at once, offering music file, digital networking and communication capability for the most high-end of events. The SC5000 Prime media player also has hard features and engineering innovations that give it unmatched capability and performance. 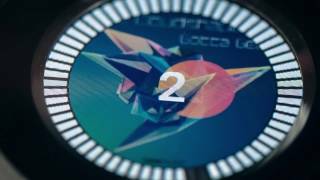 The unit’s highly responsive, 7-inch capacitive touch and multi-gesture display enables quick access to searching, filtering and sorting music, as well providing real-time song information and ultra-smooth moving waveforms. Very significantly, it also has a secondary ‘performance layer’ with its own separate output feed to the mixer. Never seen before on such a Pro performance DJ media player, the SC5000 has eight multifunction trigger pads for cues, loops, slices and rolls. 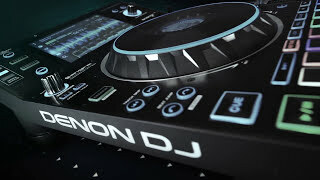 Illuminating and personalizing the DJ’s performance, the lighting around the platter is customizable to various RGB colors, and the wheel is topped in aluminum for a cool, stylish appearance. The audio outputs themselves are 24-bit/96kHz for the very highest sound quality. The SC5000 Prime plays all uncompressed audio formats, including FLAC, ALAC and WAV plus all popular compressed music file formats.